From One Heilan’ Lassie to Another ! Today I’m welcoming author Rosemary Gemmell onto my blog, close on the heels of Gwent Kirkwood, another Scottish writer I featured. Are you detecting a theme, yet? Thank you so much, Lizzie, for inviting me to your lovely blog. I enjoy reading about your travels around Scotland now and then! The setting in any novel is often one of the most important aspects of the story, for the author and the reader. This has never been truer than it is for The Highland Lass, my Scottish dual-timeline novel, as it is mainly set around my own hometown in the west coast of Scotland, an area of natural beauty, rich with history. The old Greenock cemetery’s ancient and elaborate gravestones, winding paths and overhanging trees provided much scope for my childish imagination. This was where my mother first introduced me to the gravestone of Highland Mary, who was a brief but important love interest of Robert Burns, our national poet. This early memory and a fascination for Mary Campbell was the inspiration for the short historical chapters in The Highland Lass. Inverclyde enjoys an envious position right beside the River Clyde, and across from Gourock sits the small seaside town of Dunoon in Argyll. From my side of the river, we can see the entrance to the Holy Loch, bordered by the towering Argyll hills, where the American Navy was based from the 1960s until the early 80s. This provided another thread in the story, as Eilidh is seeking the identity of her father, who may have been an American officer. Dunoon is also where Highland Mary was born, where her statue forever looks across the Clyde. I hope you don’t mind me sharing slipping in a couple of my photos of the Clyde and Dunoon, Rosemary, including this video of us sailing Doon the Watter to Dunoon aboard a CalMac ferry. We were on the lookout for submarines, but didn’t spot any. After researching Burns, from a book published in 1838, to more modern accounts and Burns’ own poems, songs and letters, I formed a real feeling for Highland Mary and her effect on the poet. I had an article published about the couple in The Highlander Magazine in the USA some years before but I kept coming back to the idea for a novel. So I carried out further research in the Gothic-style Watt Library in Greenock, with its access to microfilm copies of the old Greenock Advertiser and the later Greenock Telegraph, where I found several interesting facts that I incorporated into the story and the epilogue of The Highland Lass. The Greenock Burns Club (the Mother Club) kindly allowed me to sift through their archives fo r any relevant material I may have missed. The other main setting for this novel, in the present and past, is Ayrshire, known as Burns country. Highland Mary and Robert Burns met and plighted their troth there in the 18th century and the small villages have hardly changed at all. The inn where Burns and his cronies met, Poosie Nancie’s, is still in the same street in Mauchline. When I stepped inside the snug, low-beamed room, it took no imagination at all to picture the poet sitting at the table near the fire range with his ale. Ayrshire is also where the blossoming relationship between modern heroine, Eilidh Campbell, and handsome Scot, Lewis Grant, takes a major step forward. Another inspiration for my Scottish novels is our famous Loch Lomond, one of the largest freshwater lochs (or lakes) in Britain, now part of the Loch Lomond and Trossachs National Park. One of my favourite places is the fairy-tale village of Luss, where Lewis takes Eilidh one day. The tiny cottages with their abundance of flowers in summer months line both sides of the narrow main street which wanders right down to the edges of the loch. Luss and Loch Lomond – stunningly beautiful. In my most recent romantic suspense novel, Return to Kilcraig, I feature two different areas of Loch Lomond. One is at Conic Hill through which runs the Highland Boundary Fault that separates the highlands from the lowlands. This is also part of the famous West Highland Way. The other area in this novel is known as Loch Lomond Shores, with its aquarium, shops and water sports right by the loch side. But it is around my own Inverclyde where all the story threads in The Highland Lass come together and where Eilidh finds the answers to her past. In Return to Kilcraig, the contemporary village setting of Ross and Christy’s story is a fictional blend of several country villages around this part of the west of Scotland. Many of the large cruise ships now visit the port at Greenock but you can still watch out for the oldest sea-going passenger-carrying paddle steamer in the world, The Waverley, which sails down the Clyde during the summer months and maintains our links to the steamers of the past. Scotland is so rich in history, myth and legend that I look forward to setting another novel somewhere along its shores. More about Rosemary Gemmell – A prize-winning writer, Rosemary Gemmell’s short stories, articles, and poems have been published in UK magazines, in the US, and online. She is now a historical and contemporary novelist. She has also published historical novels and contemporary novellas with a touch of mythological fantasy as Romy and two tweens books as Ros. Rosemary has a post-graduate MA in Literature and history and is a member of the Society of Authors, Romantic Novelists’ Association and the Scottish Association of Writers. She loves to dance! Eilidh Campbell returns to her Scottish roots from America with one main aim: to discover the identity of the father she never knew. But her mother’s past in Inverclyde is a mystery with family secrets, a book of Robert Burns’ poems with a hidden letter and a photograph link to the Holy Loch at Dunoon when the American Navy were in residence. 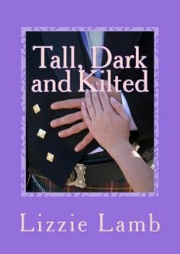 Staying with her childhood friend, Kirsty, while searching for answers, Eilidh begins to fall in love with handsome Scot Lewis Grant, but just how free is he? Together they trace the story of Highland Mary and Robert Burns, with its echoes to her mother’s story. In short alternate chapters, Highland Mary tells her own story from 1785-6. From Dunoon, to Ayrshire and culminating in Greenock, Eilidh finds the past is closer than she realises. The legacy of her beloved grandmother’s cottage in the Scottish village of Kilcraig seems like the ideal solution after Christy Morrison’s recent trauma. Until the threats begin. 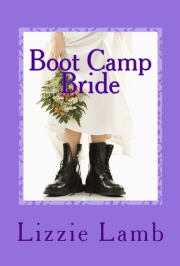 Can she trust her heart and allow herself to fall in love again? When Ross McKinley reluctantly welcomes Christy back to the village, he has hardened his heart against love, until they begin to renew their childhood friendship. But someone is determined Christy should go back to London. Will they find the culprit in time? Gwen and I both write Scottish-themed novels and I thought my readers/followers would like to know more about Gwen and her novels.And, how could I write a blog post in January without mentioning Robert Burns? Lizzie, thank you for inviting me to write a blog telling you why I set most of my books in Scotland. Robert Burns’ birthday is on 25th January and this year it happens to be my granddaughter’s twenty first birthday. My grandfather was a great Burn’s fan. When he was in his nineties, even though he had lived most of his life in Yorkshire by then, his two favourite books were still Burns poetry and the bible. I do enjoy traditional poetry myself. When I first began writing fiction I included a poem at the beginning of each book. My first sagas were the four Fairlyden books and they all have a poem by Robert Burns in the front. Although I was born and went to school in Yorkshire, I had three Scottish grandparents and a yen to come to Scotland. When I finished college I came to Dumfriesshire to work, visiting the dairy farms. I loved the countryside from the beginning, and also the buildings of local red sandstone. Later I met and married my husband, a Scottish dairy farmer and breeder of Clydesdale horses. Consequently I have lived most of my adult life in Scotland and have no regrets. We have lush green fields, hills and glens, woods and rivers, and a few lochs too, although the south west of Scotland is often overlooked in favour of the Highlands. Authors are often advised to write about what they know but I’m still amazed when I hear of people wanting to read my books about everyday life with families and animals, the ordeals and triumphs, usually related to farm or country life. I like modern history and often set my books around 1900 and move forward, although Dreams of Home began with a young soldier returning from the Second World War and desperate to farm. This is the only series in which I wrote five books and continue to present day with Darkest before the Dawn, and the introduction of milk robots. I like to include the changes and developments in farming and wish I had listened more to the stories my grandparents could have told me. Some of the letters I have received have been from readers reminiscing and sharing memories, or tales, of times past. Also one reader had been an evacuee to this area and lived in a rambling, bitterly cold, manse. It is now a hotel. I do mention some local towns by name but the villages and farms are all fictional, as are my characters. 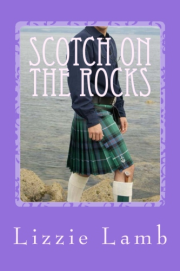 If you write Scottish-themed romances would like to appear on my blog, get in touch via email – but, in the meantime … keep writing! This post is part #2 of our tour of Scotland this summer, from Edinburgh to Balnakeil in the north west corner of Scotland and back to Glasgow. I’d always wanted to visit Rosslyn Chapel – and the Royal Yacht Britannia, and that’s exactly what we did. I was intrigued to compare the actual chapel to the scenes from the movie – but was disappointed to discovered they only filmed the scene in the crypt there. So no cabalistic signs, Knights Templar or hidden symbols connecting the chapel to the Virgin Mary, but lots to see, otherwise. The chapel is full of the most amazing carvings, including a frieze of maize or Indian Corn surrounding a window. This was constructed fifty years before Columbus discovered America in 1492 – so, go figure, as they say. (sadly, no internal photos so you’ll have to go to the website for those.) Here are my photos . . . click on each one for a description. If you arrive before 11am you can join the FREE guided tour, which is well worth it. The guide said that the chapel was falling down around their ears and they prayed for a miracle. God sent them one in the shape of Dan Brown and the Da Vinci Code. Now the chapel is being preserved for posterity. Great cafe, too, in case you wondered. We spent a very happy three hours looking round the RY Britannia. With our headsets we explored the yacht at our own pace and you really do have ‘access to all areas’, including HM’s bedroom. Parking is free and the tour cost £13.50. Amazingly, the yacht is moored at the end of the Britannia Shopping Mall, Leith and, if at the end of your time you still have energy, there’s a great shopping centre there, too. Here are the pics . . . click on each one for a description. Of course, being us, the tour started in the restaurant where we had tea and scones (not silly prices, either). We spent a lot of time practising saying: The Leith Police dismisseth us, in order to prove we were sober, so we felt we’d earned our tea break. ring the bell . . .
We’ve spent many summer on the Isle of Wight and the ferry took us past the Royal Yacht moored off Cowes in the Solent. It was sad to see this grand old lady moored next to a shopping centre, IMHO, but at least we had a chance to look round which otherwise would have been denied to us. Of course, we were interested to see the bedroom and sitting rooms and they were all of show, along with boiler rooms etc. Everything is very simple and pared back. Apparently, Her Maj rejected for the first set of plans for being ‘too grand’, she wanted a ‘country house interior’, and that’s what she got. As I was peering into Charles and Diana’s bedroom – the only one with a double bed, which Charles ordered specially for their honeymoon – the ladies behind me were quite vocal on their opinion of ‘how he done her wrong,’ even after all this time. The yacht had to be functional as well as ceremonial and it had its own laundry, dentist’s surgery, operating theatre and sick bay. You can see why everything has to be ‘shipshape and Bristol fashion,’ can’t you? The lone figure at the end of the pier is an Antony Gormley sculpture (creator of the Angel of the North et al) and was is life-like that, apparently, people keep ringing the police thinking someone’s about to throw himself into the Firth of Forth. I hope you’ve enjoyed my second blog post and that you may be tempted to visit Edinburgh and East Lothian for yourself. Scotland is a fascinating, beautiful, mystical country and has something for everyone. Next time, we’ll travel across the Forth Road Bridge and head for Inverness, Culloden and the Black Isle. I hope you’ll travel with me. In the meantime, do check out my novels on Amazon and feel free to sign up for my newsletter. I can’t leave Edinburgh without sharing the last four photographs taken by author Helen Barrell who took Tall, Dark and Kilted back to its roots in Scotland. Thanks Helen!